Dallas County is experiencing the worst outbreak of West Nile virus in the county's history. The old record of 104 cases was set in 2006. Dallas County surpassed that number Wednesday, with 109 serious cases of West Nile virus. Five people with underlying medical conditions have died in Dallas County after contracting West Nile virus. One death has been reported in Tarrant County. West Nile virus season is off to a menacing start, with more serious illnesses reported so far this year than any since 2004. Through the end of July, more than 200 human cases were reported in 22 states. The bulk are in Texas, especially in North Texas. Health officials believe the mild winter, early spring and very hot summer have fostered breeding of the mosquitoes that spread the virus to people. Centers for Disease Control and Prevention officials noted that most West Nile virus infections are reported in August and September, so it's not clear how bad this year will be. 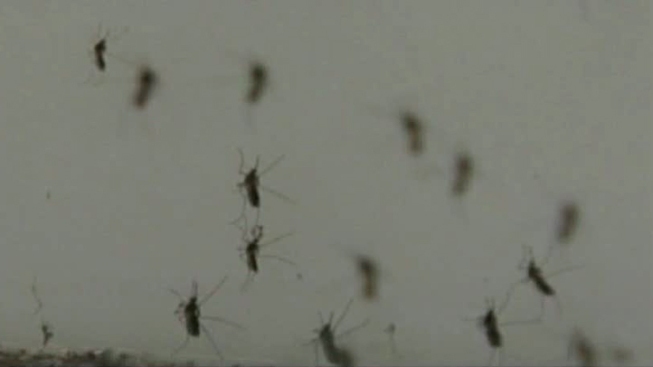 Mosquito trucks were out spraying neighborhoods in White Rock and North Dallas on Wednesday night. The state has agreed to provide additional insecticide so that county trucks can spray without fear of running out. Dallas has an alert system, and the county is currently at Level 5, which means the probability of contracting West Nile virus is high. The next step would be Level 6, which could include aerial spraying. Dallas County hasn't done aerial spraying in nearly 50 years. Get tips on symptoms of West Nile virus and West Nile virus prevention for Tarrant, Dallas, Denton, Collin and Parker counties here. Most people bitten by a West Nile virus-infected mosquito will not show any symptoms. Symptoms, if they appear, are fever, headache, nausea, body aches, swollen lymph nodes and skin rashes. Fewer than 1 percent of those infected with West Nile virus experience the serious form of the illness. Serious symptoms include high fever, severe headache, neck stiffness, disorientation, tremors or convulsions, vision loss, muscle weakness and numbness or paralysis. Drain standing water around their homes to reduce mosquito breeding grounds. Dress in pants and long sleeves when outside, but avoid becoming too hot. Apply an insect repellent that contains DEET to exposed skin and to clothing when outdoors. Stay indoors at dusk and dawn, when mosquitoes are most active.